Bill Belichick – SV Möhren 1948 e.V. After the Giants’ second Super Bowl win in 1991, Cleveland Browns owner Art Modell hired Belichick as his new head coach. Belichick’s time in Cleveland proved rocky. Demanding of his players and hardly a friend to the media, Belichick had difficulty winning over the team’s fans and its mercurial owner. 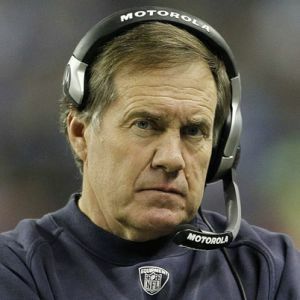 Following the 1995 season and Modell’s announcement that he was moving the franchise to Baltimore, Belichick was fired. He quickly found work with his old mentor, Bill Parcells, who at the time was head coach of the New England Patriots. The pair worked in New England for the 1996 season—that same year, the Patriots made it to the Super Bowl, but lost to the Green Bay Packers. The following year, Belichick followed Parcells to the New York Jets, where Parcells had been hired as head coach. In early 2000, Belichick got another shot to direct a franchise, when New England Patriots owner, Robert Kraft, named him head coach. While old Browns fans snickered at New England’s decision to hire him, Belichick quickly demonstrated why Kraft had wanted him. Following a difficult 2000 season, the coach rode the young arm of quarterback Tom Brady, who’d stepped in early in the year for an injured Drew Bledsoe, and guided the Patriots in 2001 to a Super Bowl XXXVI victory against the heavily favored St. Louis Rams. Belichick and the Patriots repeated the run two years later, winning the Super Bowl XXXVIII. The team successfully defended its title the following season, winning the Super Bowl XXXVIIV against Terrell Owens and the Philadelphia Eagles. Belichick has been named “Coach of the Year” three times, in 2003, 2007 and 2010. In 2007 and 2011, he again steered the New England Patriots to the Super Bowl, where both times they lost to Eli Manning and the New York Giants. During the 2007 season, he became the first head coach to ever preside over a 16-0 regular season team. But not everything about his coaching career has sparkled. In 2007, it came to light that the Patriots had, over several years, secretly video-taped opposing coaches in order to learn their play-calling signals. The incident, which came to be known as Spygate, resulted in Belichick being fined $500,000 by the league. The Patriots were fined an additional $250,000 and lost a first-round pick in the 2008 NFL draft.